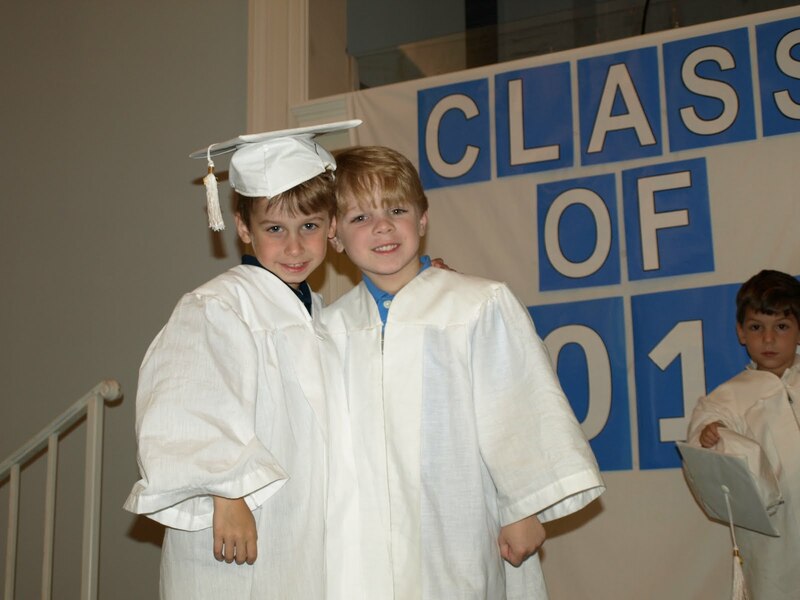 Carter graduated from Harpeth Hills Preschool on Thursday, May 13th. What an emotional day! 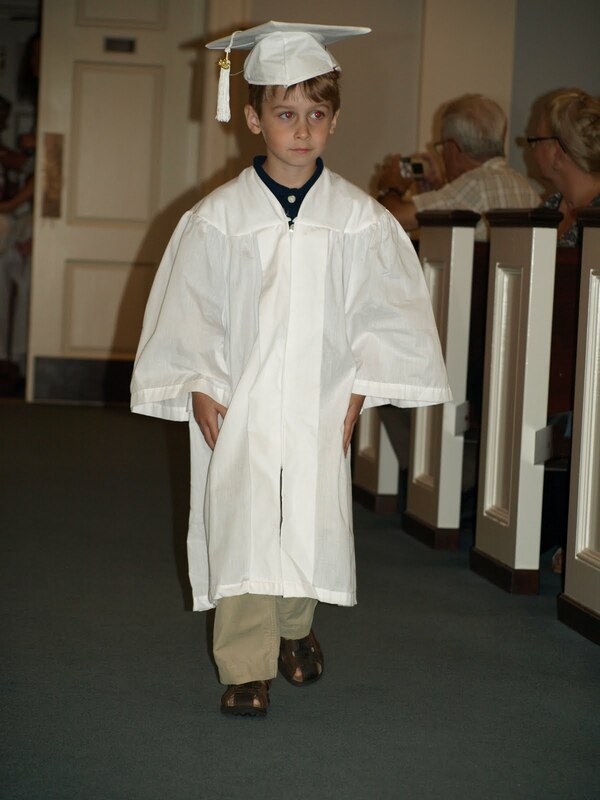 I knew that it would be difficult to see him graduate, knowing that our easy days of preschool and play were coming to an end. I have such mixed emotions. I am super excited for him to go to Kindergarten. I know he will LOVE it and do really well. I am also excited for him to make some new friends and learn so much. 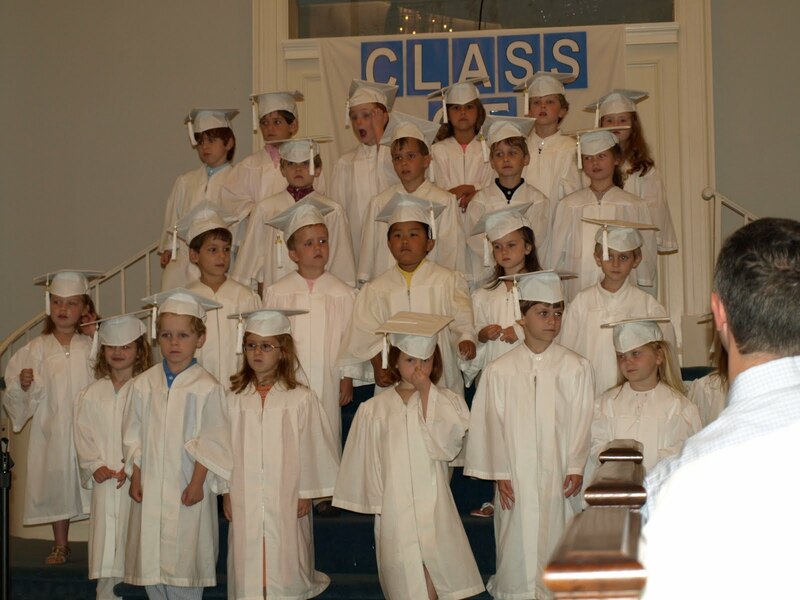 On the other hand, we are SO blessed with an amazing preschool. The director, teachers, parents, kids, curriculum are all outstanding! 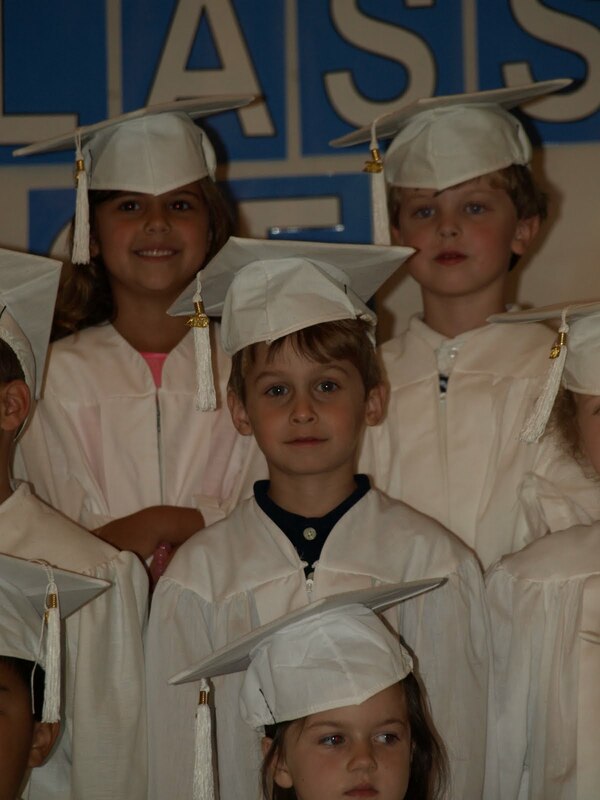 His friends are such sweet kids and I have loved all his teachers. I also love having him home for the majority of his awake hours. I can’t believe he will be at school all day, every day. I have to keep telling myself that this is my job as his mom. 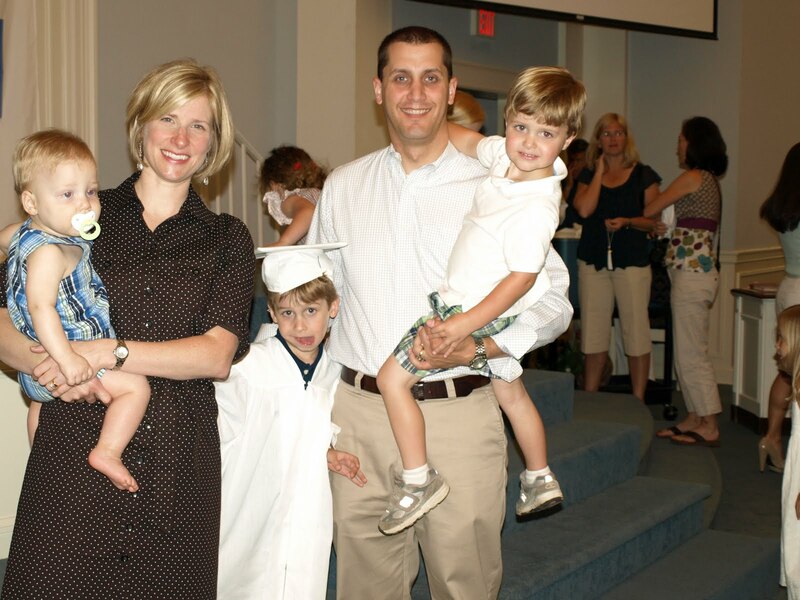 To raise him to go to school, grow up, and succeed as God has planned for him. It is just a really hard job. We were fortunate to have Blake Parker (worship leader at our church) come and sing with the children. 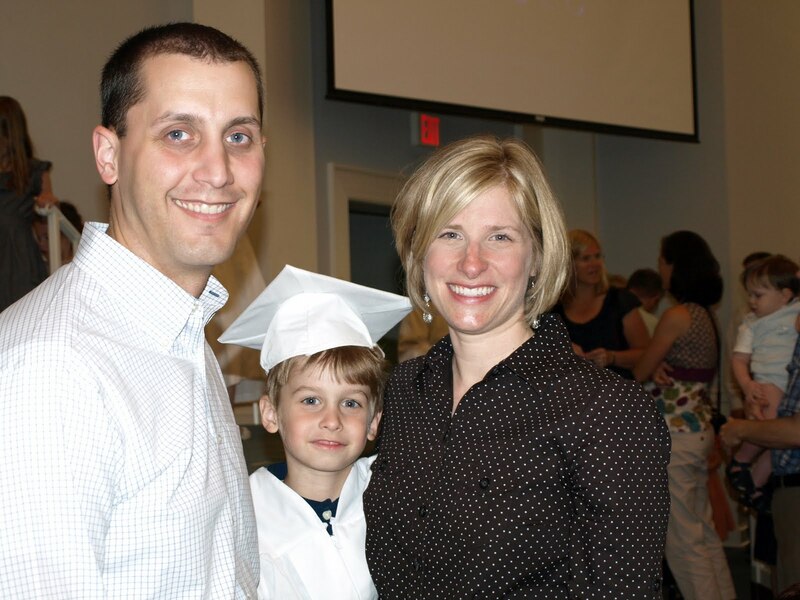 He sang, “Pray for me.” It was the perfect song reminding us that our most important job as a parent is to pray for our children through each stage of their life. Definitely a reminder I needed to hear. 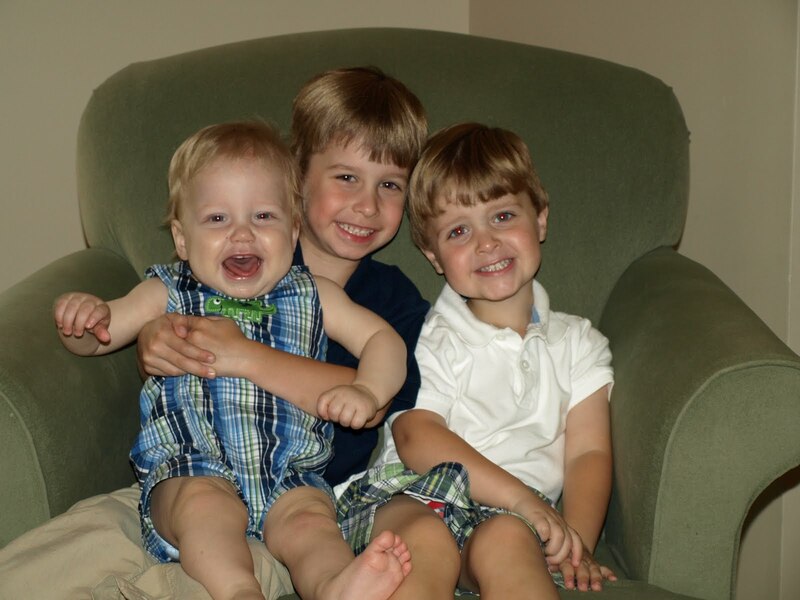 With such a big change coming this fall, I need to spend more time praying for Carter and this transition. Especially praying for the right teacher, friends, and influences. This is probably one of the most emotion-filled posts I have written. This month has held a lot of big events for our family. First of all, the flood, which didn’t directly affect us, but affected so many people around us. It is still such a sad situation. Ethan’s first birthday party – I can’t believe my baby is about to be one, but I’ll save that for another post. 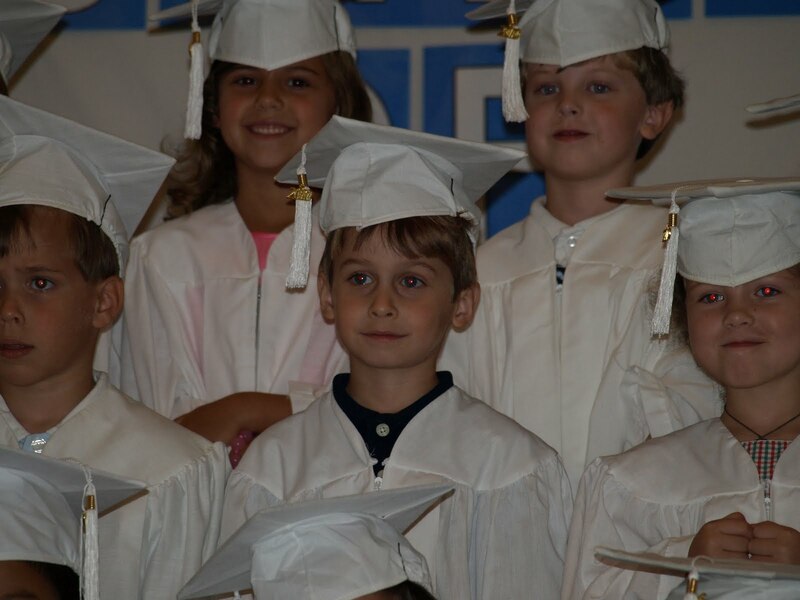 And Carter’s graduation – a day full of mixed emotions! 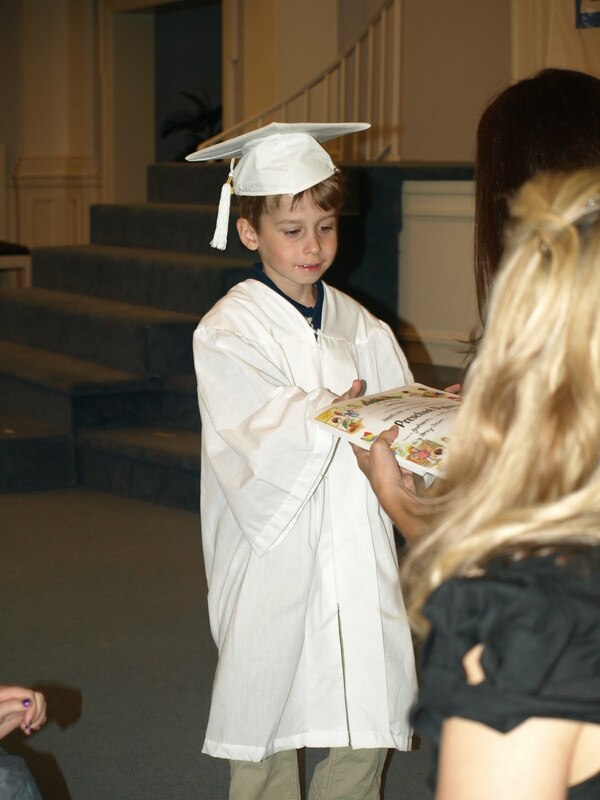 I’ll leave you with pictures of Carter’s special day. Ready to go for his last day of school. 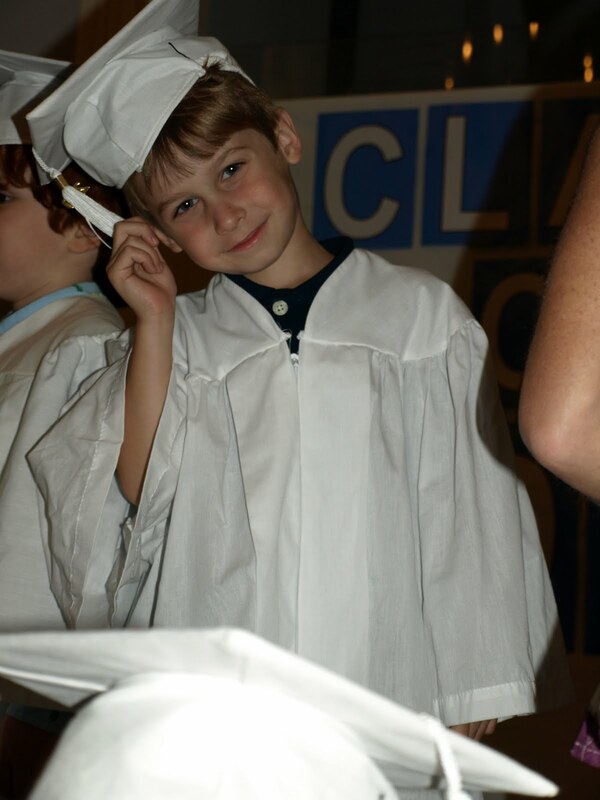 This was Seth’s last day of preschool for this year. 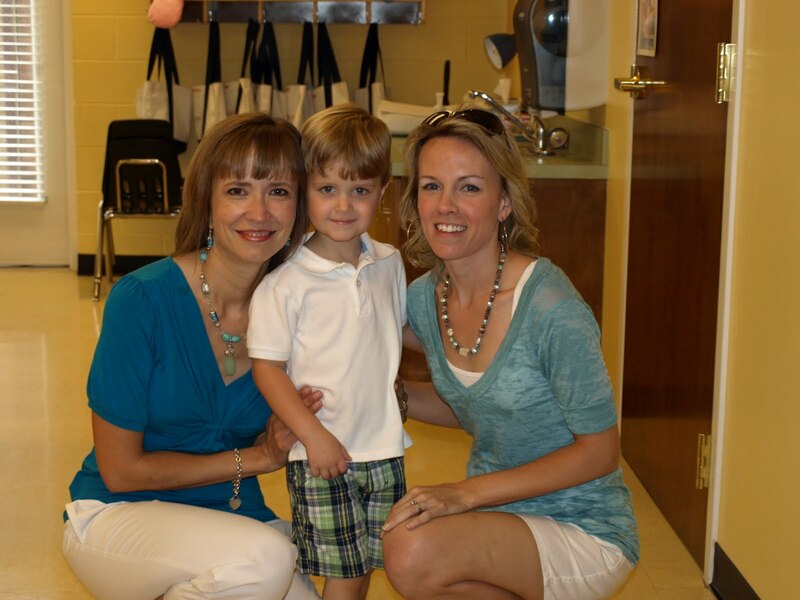 He has really enjoyed school and LOVES his teachers. He is definitely a little charmer! 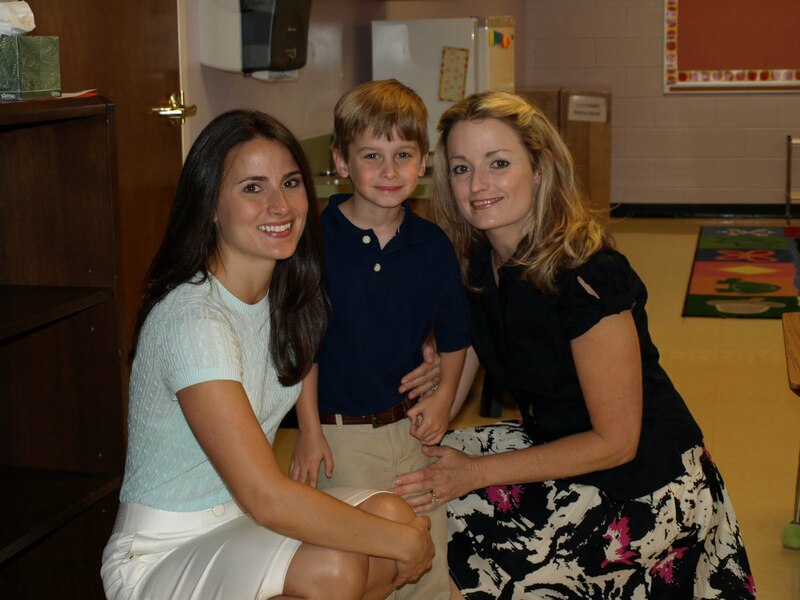 Carter and his amazing teachers, Miss Jennifer and Miss Angela. Love them! We will miss them next year. Walking in to the Charlie Brown theme music. He looked a little nervous. (I was already tearing up at this point). 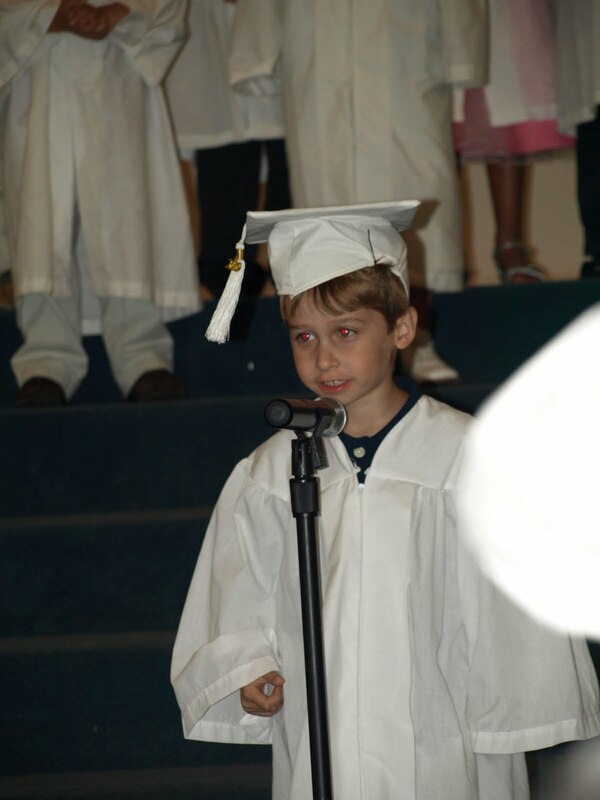 Telling the audience about his ambition of being a hockey player. Receiving his diploma from Miss Angela. 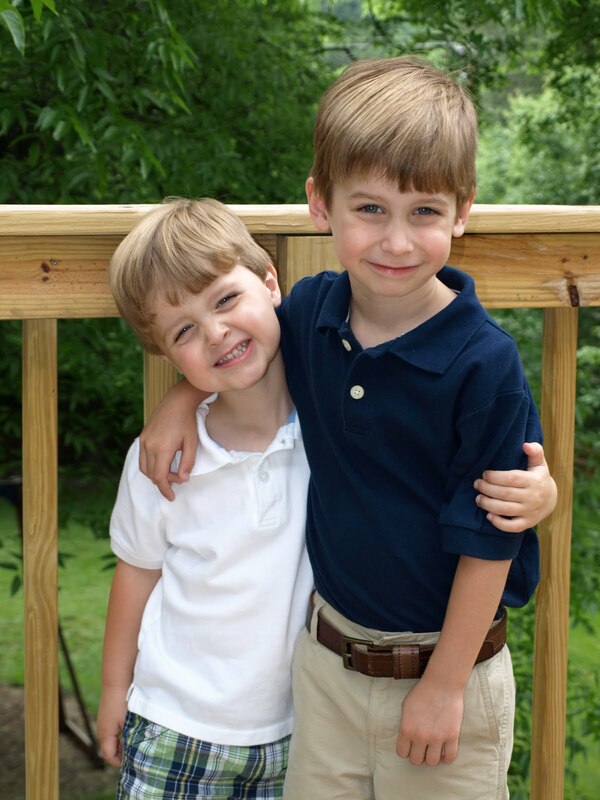 Carter and his best buddy, Jackson. 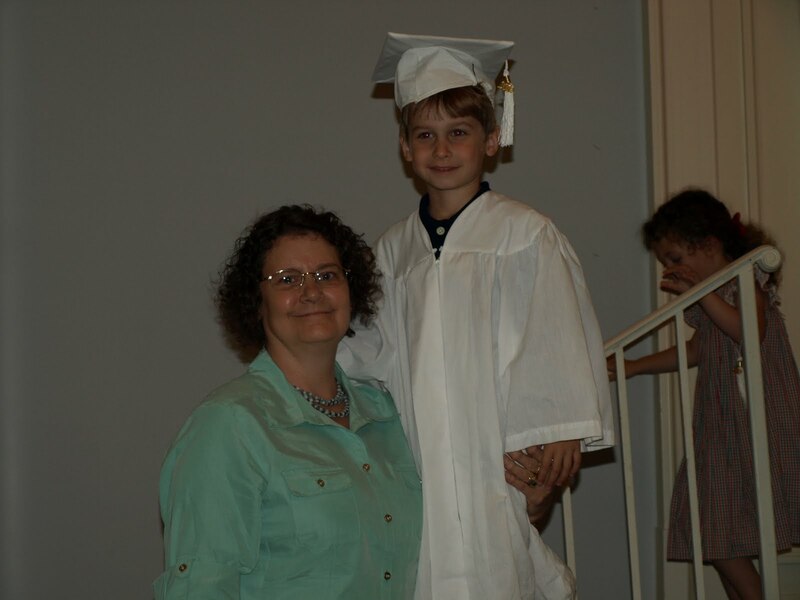 Carter’s Grandma was able to come and watch him graduate. Awww…I teared up reading this post and looking at the pictures. 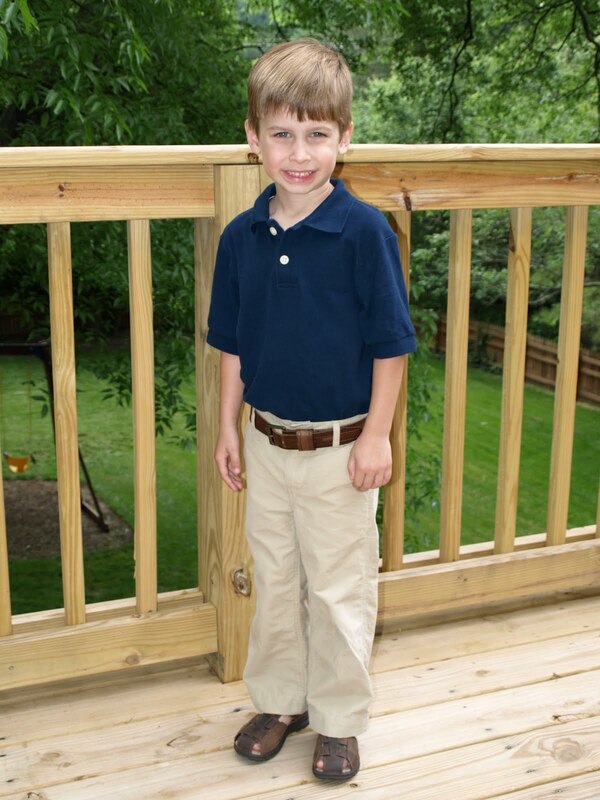 I cannot believe he is going to be a kindergartner! He looks so grown up in those pictures and I would have balled too, especially how emotionally charged this month has been for you all. Can't wait to see you all this weekend!